American’s bacon craze is far from over. During the bacon-obsession boom we have been blessed with bacon Pop Tarts and bacon-scented boxers, and we now know what happens to your body when you eat too much bacon. The trend will never die. Maybe that's a good thing though, because it’s given us yet another way to celebrate this hallowed breakfast meat: Camp Bacon. Zingerman’s, an online store for food lovers that sells everything from sandwich kits to red pepper chocolate truffles, hosts the camp, based in Ann Arbor, Michigan. It’s geared toward “pork-driven people” – that’s anyone who wants to celebrate the history and taste of bacon, and purportedly draws in not just the common bacon devotee, but culinary historians and chefs, too. Bacon Camp features a series of events – not quite the traditional sleeping in cabins and canoeing you remember from your childhood. Actually it’s much better: There’s a cooking class that teaches you how to bake with bacon, a night-time pig roast, restaurant tours in Detroit, and a free street fair on the camp’s last day. The Main Event, held on June 3, features a panel of bacon experts, authors, and chefs to bolster your love of bacon with some serious knowledge. Bacon Camp runs from May 31 to June 4, and tickets are on sale now. 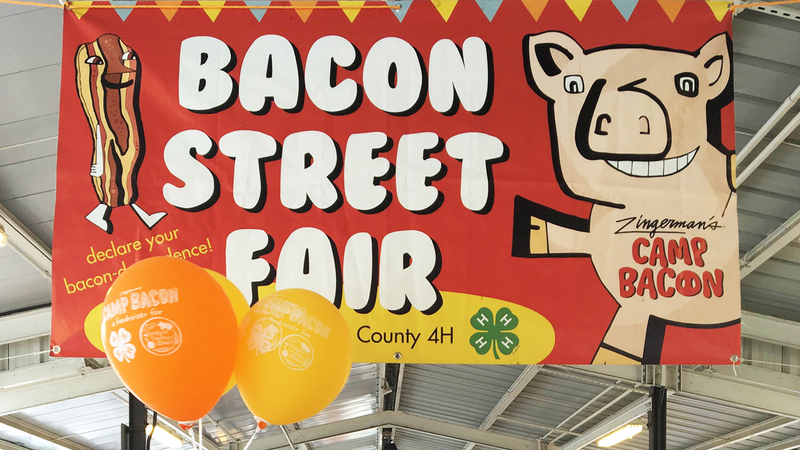 Proceeds go to two non-profit organizations, Southern Foodways Alliance and the 4H Club of Washtenaw County, so while you are eating bacon, learning about its history, and enjoying music inspired by it, you’re also doing good. Let's hope bacon's icon status keeps inspiring events like this. Long live bacon.